A new application that will turn goal tracking into an adventure. Level up your character as you level up yourself. The idea behind Questlii is to bring the positive feedback loop from gaming to tracking your goals. 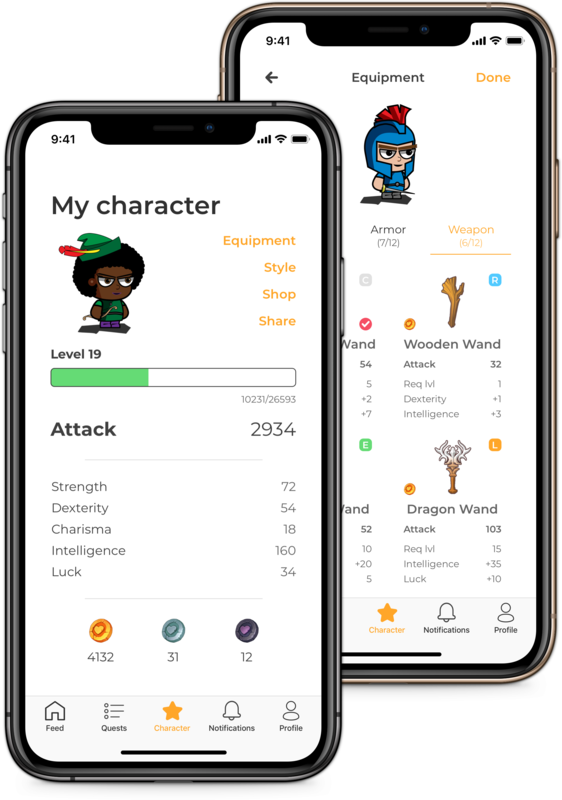 Now, when you work out and add it to the app, you will see your character get stronger like a warrior. As you progress through these real life quests, your character will grow. Complete your goals to level up your character. Your friends can cheer you on your journey. You will receive more rewards when you track your “quest” progress the next day. You can choose a hairstyle, a nose, or eyes for your character that match how you look. You can also change their gear to your liking. We grew up playing RPGs. We are creating Questlii to bring the sense of adventure we experienced playing games as kids to all the people out there who wish to turn their life into an adventure. With Questlii, you can become the hero of your life. A glimpse into what we are working on. Subscribe to our newsletter to be the first to hear of our updates and when Alpha testing begins.